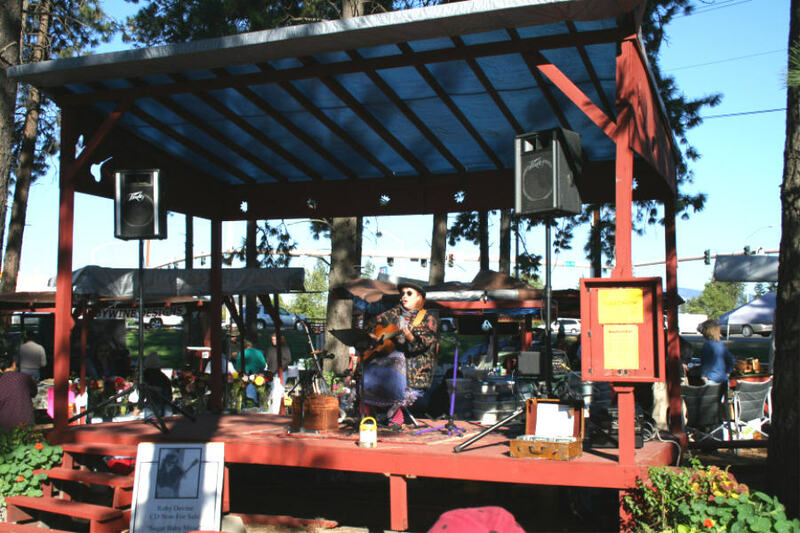 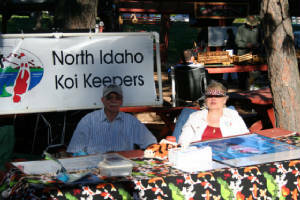 On September 8, 2007, Gene & Phyllis Anderson and John Miller as representatives of North Idaho Koi Keepers set up an educational koi display at the Kootenai County Farmers Market in Hayden, Idaho. 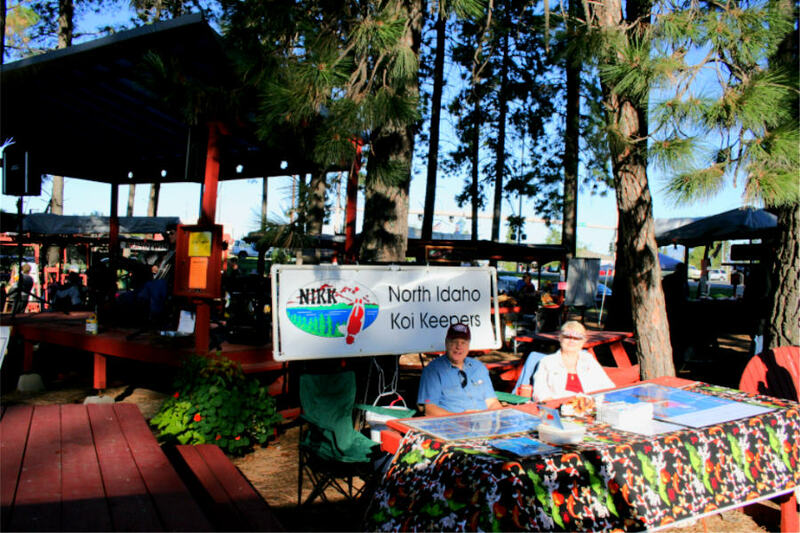 Our new NIKK banner added a great visual attraction to our booth. 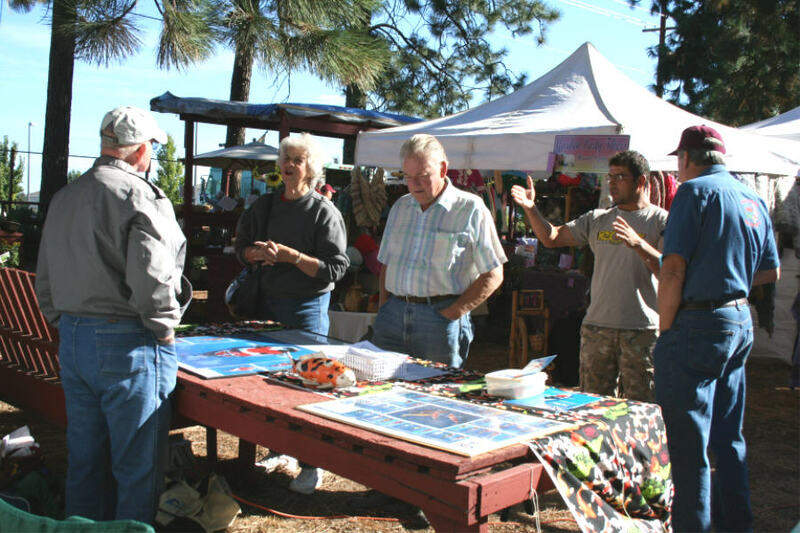 Gene built a pvc frame to support the 2x6 foot banner--it works great on an easel this way. 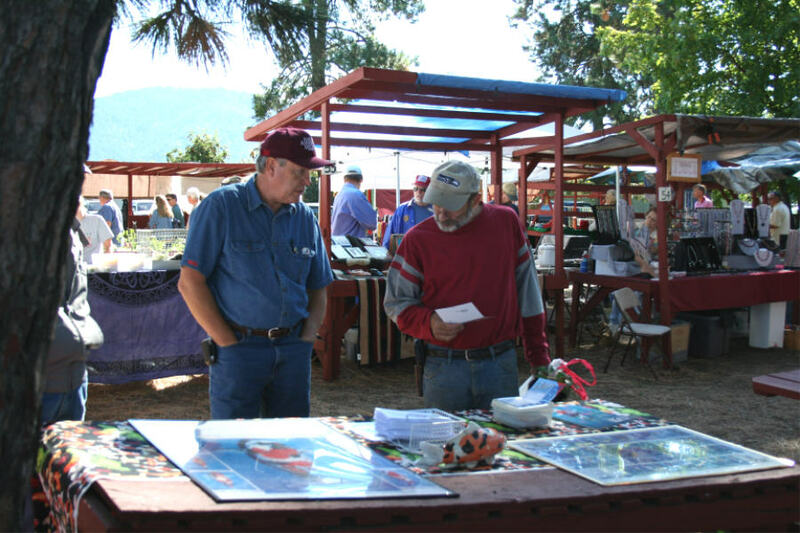 This event is very well attended by residents in the area, attracted by the variety of vendors selling such items as wood work, leather crafts, plants and flowers, specialty bakery items, produce, arts and jewelry, bunnies for sale and much much more. 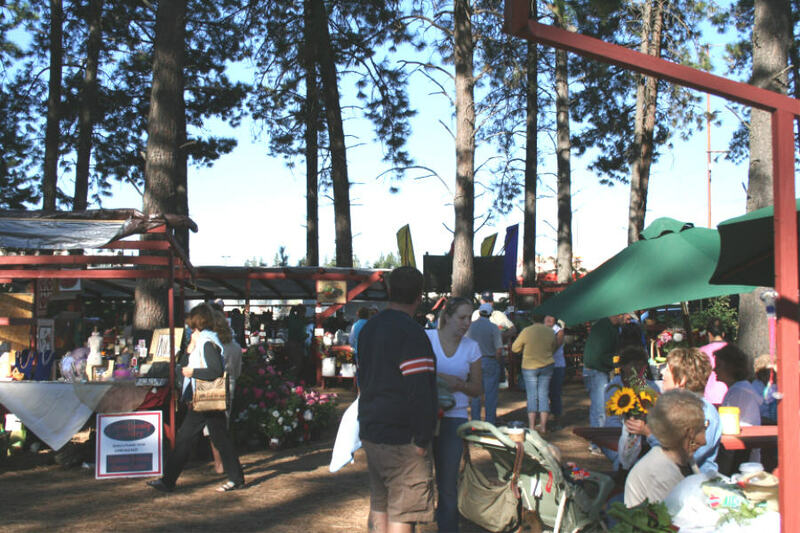 The market has grown in the last few years and every booth available was being used. 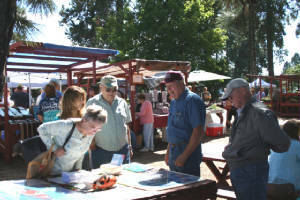 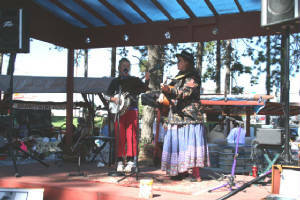 The country atmosphere along with the musical entertainment on the stage next to our display made this a wonderful experience and a great way to spend a Saturday introducing our new koi club.